Which Crops Do Best In Hydro? All right! So you've decided to try the exciting world of hydroponic gardening; I know you will love it. It really is quite a thrill to have a thriving indoor vegetable garden in your spare bedroom. This page provides a little more detail on the proper crops to choose for your new garden. Food for thought: Most of the root crops (potatoes, beets, carrots) can be bought cheaply in the store, and offer little advantage for hydro gardening. Save your space for the faves: Green leafy crops like lettuces, cabbage, chard, & spinach; and the fruits: eggplant, pepper, tomatoes, beans and peas. Make the most of your indoor vegetable garden. Try to find "greenhouse varieties" of vegetables for your indoor hydroponics gardens; they don't require pollination (see our Pollination Page for tips on that). Below are some strains of veggies that are suitable for hydro, and a few growing tips for good measure. Broccoli: I have grown the most beautiful broccoli heads in my hydro gardens. Granted, you won't get a huge crop, but steamed and topped with melted butter, it makes for a delightful taste treat. One plant per pot, as the leaves spread out pretty far. Broccoli prefers well-aerated growing medium and likes it cool, in the 60s. We look for Heirloom DiCicco Broccoli. Carrots: Have you ever tasted home grown carrots? Well then, you're in for a treat! Hydro carrots are sweet and tender. 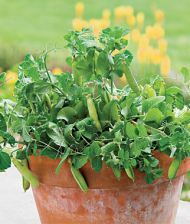 Grow the short varieties only, in vermiculite or perlite (light and well aerated); plant seeds on top of pot and keep moist; thin to about 1-1/2 inches apart. Carrots cannot be grown in LECA balls, for obvious reasons. Cauliflower: One per pot. Cauliflower apparently can be tricky, as it is sensitive to temp changes and prefers it cool. I have never tried to grow it, as I don't care for the taste of cauliflower. 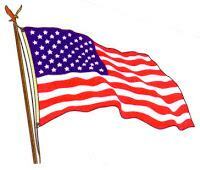 Good luck, let me know if you grow them successfully in your indoor vegetable garden. Attribute Hybrid Cauliflower is good for container gardening. Chard: Harvest like lettuce; keep it cool. Great cooked like spinach. 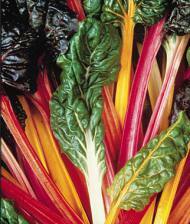 Why not try this colorful variety; Bright Lights Swiss Chard. 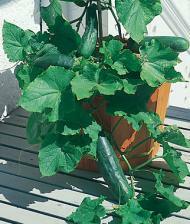 Cucumbers: A great choice for hydro, I have had very good luck with cukes! They like high humidity and warm temps. Usually one vine is more than enough to keep you in salad cukes for the whole season. Prune the vine to one main stem, just like tomatoes, and train up a string. Fasten the plant to the string with loose loops of garden wire. Pinch the ends off when the plant reaches the end of the support string, up under the lights. Remove the tendrils which sprout and wrap around everything in sight. English cukes (greenhouse) do not require pollination and are seedless. For more info on training and pruning vining crops, visit Hydroponic Gardens. Eggplant: Black Beauty Heirloom; pinch off a few flowers to get larger fruits; Eggplant likes it hot but not too hot; it can be tricky; I have had all the blossoms drop and not set. When you do get fruits, keep them picked right when they mature to spur additional produce. Green Beans: Are a great choice for an indoor vegetable garden. In winter, grow bush beans indoors; in summer, grow pole beans outdoors (patio). Pole varieties need to be trained up a string, and can be planted close together (6" apart). Beans prefer a looser aggregate, like coco and perlite, and good drainage. Try Burpee-Contender Bush Beans; but it's hard to beat the flavor and tenderness of Heirloom Kentucky Wonder pole beans. Give 'em a trellis and let 'em grow! Onions: Spring onions; green bunching; sow heavily and thin to an inch apart. One pot sprouts dozens of onions. 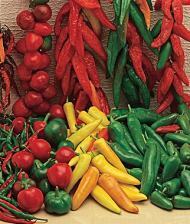 Peppers (bell & hot): Peppers are a great choice for hydroponics! Pick from green bells, yellow sweet banana or hot chili peppers, the variety is astounding. Pepper plants like it warm and require high light. Some strains require training up a string if they get too tall. Radishes: Grow in vermiculite or perlite, 2" apart; they need loose media, ample light and cool temps or they will bolt. Spinach: A cool weather crop, plant 3-4" apart. Spinach is fast growing and prolific if you keep it harvested. Needs well-aerated medium with adequate drainage. We like Heirloom Bloomsdale Spinach. Squash & Zucchini: Squash takes a lot of space; train yellow squash up. Zucchini is a huge space hog, hardly worth it, but is a prolific producer. 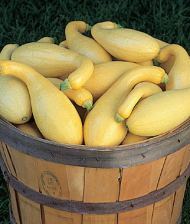 Try Hybrid Pic-N-Pic Yellow crookneck squash or Fordhook Bush Zucchini. Tomatoes: see Growing Hydroponic Tomatoes. You might want to visit our Heirloom Veggies page too.